The National Council is directly responsible for policy-making and the governance of Sorority business. 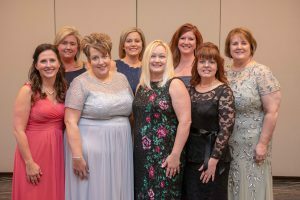 The Council members are dedicated volunteers who work day-to-day with the National Headquarters staff, National Committees, National Panhellenic Conference Delegates, the Delta Zeta Foundation Board and other Delta Zeta volunteers. To contact the Delta Zeta National Council, please send your email to DZLeadership@deltazeta.org. Or, you can leave a voice mail message in the DZ Leadership box by calling National Headquarters at (513) 523-7597 ext. 207.